The wooden centre panel is cut from a single piece. 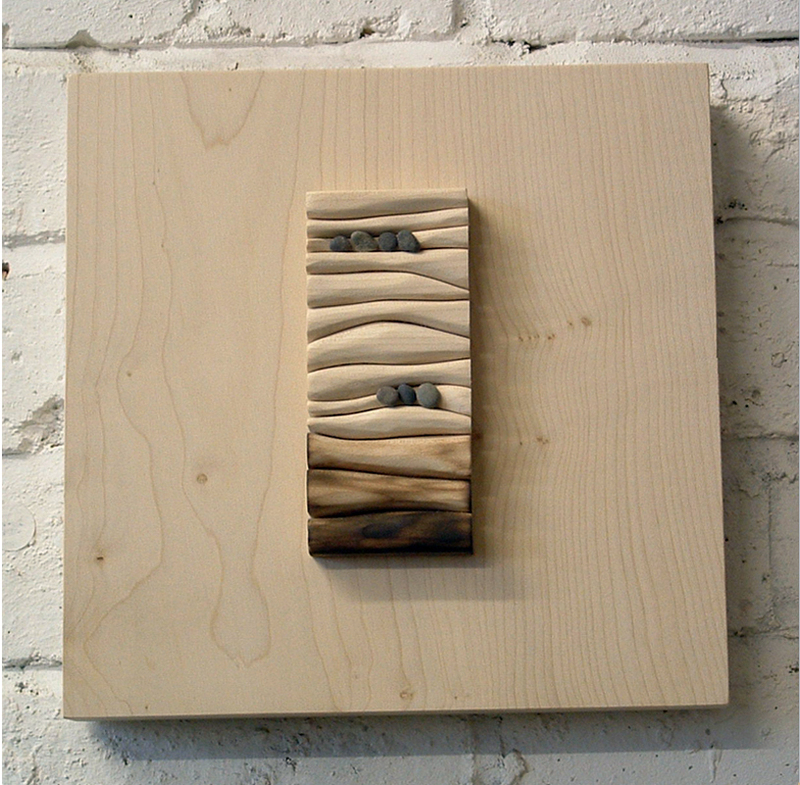 It is sanded, burnt & reassembled in to wave patterns. This is positioned with the grain running against the background block, hence the title. 30 x 30 x 4 cm Maple, stone.